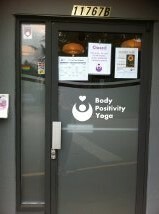 I recently discovered the Body Positivity Yoga studio located in Maple Ridge, BC. 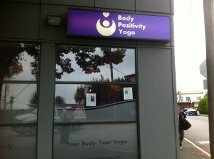 It’s owned and operated by Lisa, who goes by the moniker The Fat Yogini! With a name like that, I HAD to go to her class, and I absolutely loved it. There are other teachers as well, and a number of great classes and workshops offered. Although I was attracted to the fat-positivity, the classes are for people of all shapes and sizes. I can’t tell you how much I love my time there. Being in a fat-positive, body-positive space for yoga is so liberating and affirming that I truly feel like I am doing something great for both my body and soul. Physical health AND mental health. I’m all about that. Sorry, I somehow missed your comment earlier. I’ve been trying to get out to a class every Sunday. You are always welcome to join me!